The T-ZINE MEDIA brands’ design philosophy is built around an innovative mix of traditional written text, graphics, photography, video and a new element –apps, which introduce a new form of storytelling to the world. Apps, related to a specific story, feature, article, or subject matter, and integrated within a story’s content, help illustrate and convey a specific attitude of that editorial and make each story infinitely more engaging. Each brand takes full advantage of the mobile-tech platform and delivers original quality content through beautiful digital experiences that build communities, drive commerce, and engage readers. And, this curated collection of brands offers unique integration opportunities for marketers. The premise of GRAND STYLE is simple: to celebrate the accomplishments and lifestyle of outstanding people of color from all facets of society. Using both words and images with style, grace and dignity, GRAND STYLE provides insight into motivation, personal philosophy, and individual journey of these people. 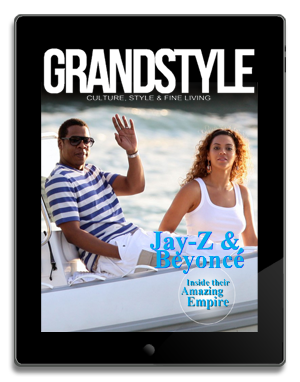 GRAND STYLE focuses on success and achievements. Its mission is to inform, educate, motivate, empower and entertain people of color to be their best in every way. Inspiring stories lead readers to want more out of life. Stories with strong family values set a good example. Examples of a comfortable lifestyle, where culture and fine living reflect personal and professional achievement, engage readers. Have you ever wondered what it would be like to pal around with Robert Redford or Paul McCartney in their kitchens, as they share their favorite dishes, recipes, and secret plans for upcoming projects? 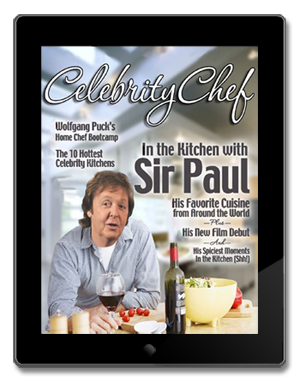 CelebrityChef transforms the conventional definition of what a “celebrity chef” is into something far more delicious. Readers get to know some of their favorite celebrities of all time as they visit some of the most amazing kitchens around. Coverage is rounded out with a review of interesting kitchen design and useful kitchen and cooking gadgets—along with cooking lessons, tips and recipes from actual celebrity chefs. Everyone is curious about how celebrities live and entertain. to “chef of the house” will find ideas and inspiration. 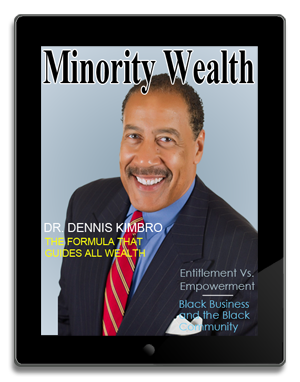 Minority Wealth is a thought-provoking digital publication featuring the profiles and lifestyles of outstanding and successful minority entrepreneurs, CEOs, executives and business leaders from around the world. It focuses on professionals who have succeeded, often despite their poverty-stricken childhoods, discrimination, and limited opportunities. Minority Wealth stresses financial success with ongoing emphasis on economic empowerment of the African American community as the final step toward full participation in the American mainstream. insights on business and career building strategies. advancement of minority professionals in the workplace. If you have a dog at home, you’re one of more than 70 million U.S. households with at least one dog. And if you consider that dog more than a pet, and more like a member of your family, you’ll want to join My Dog. It’s a new publication that is truly about you and your dog—literally. 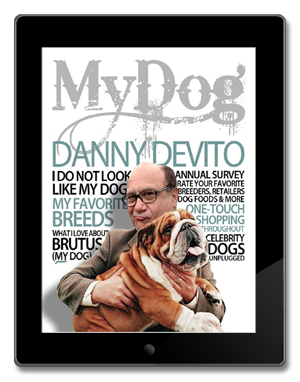 Each issue is personalized to you and your particular breed, offering advice, commentary, apps, and discounts on food, supplies, toys and more. This is no ordinary pet publication but then again, your dog is no ordinary pet. Dog owners who love their dog and want to learn how to best care for their “canine family member” will find information, tips and more. buy for their dogs will enjoy discounts and more.